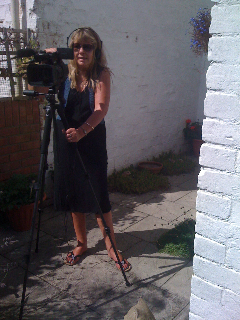 Flick’s Video Productions creates punchy promotional videos for companies, organisations and charities. Flick’s Videos also provides event coverage and music videos including both filming and editing services. Everyone loves a story so imagine telling yours through your own bespoke video. DO YOU USE VIDEO IN YOUR SOCIAL MEDIA AND GENERAL ADVERTISING CAMPAIGNS? Video gives your company more impact to your social media presence. Video content is mobile friendly so reaches a wider audience and pushed your website further up the Search Engine Optimisation rankings. DO YOU USE VIDEO ON YOUR WEBSITE TO PROMOTE YOUR ORGANISATION OR CHARITY? Some people ask why use a professional as I can video through my phone? Quality is key here, no matter how expensive your phone or camcorder it can’t buy you the experience and expertise that I provide. As a journalist you also get storytelling, accuracy and a creative eye. “Thank you – we’re thrilled! Absolutely Perfect!! It’s been lovely putting this together with you Flicky.” – Janet Garrett Janet’s Puppy School. “A big thank you to Flicky Harrison with Flick’s Video Productions for giving us a great deal on filming and editing this very special video on fostering in Swindon. We are very impressed.